The wedding specialists at Sazama’s Fine Catering embrace all types of wedding events – from the most traditional banquet-style reception to the most glamorous soirees dripping in diamonds and silk. From fine five-course culinary experiences of the most divine flavors to extravagant entertainment-laden, thematic theatrics, Sazama’s Fine Catering can support your loftiest goals. Work closely with an event manager to entice donor generosity through a seamless guest experience designed to impress. Leave the details to Sazama’s for all things high-end corporate catering; client receptions, product showcases, employee recognition, strategic planning and kickoff meetings, or any style of event you can envision to complement your corporate goals this year. 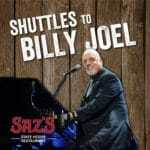 Proms, Award Banquets, Teacher Appreciation Evenings and other formal school events find a perfect home with Sazama’s. From a taste of adulthood to collegiate affairs, Sazama’s Fine Catering has the solution to your catering needs. Quinceañeras, Cinco de Mayo, Bar and Bat Mitzvahs, Los Dias de Los Muertos, and Chinese New Year are just a few – Sazama’s embraces the opportunity to blend culture with menu in custom concoctions to accommodate tradition, even reproducing long-lost family recipes down to the perfect pinch of spice. Perhaps you already have a date in mind. Perhaps you’re already booked at the Marcus Performing Arts Center and it’s time to start talking menu and event details.  Based on your responses to a few quick questions, the Sazama’s Fine Catering management team will reach out to begin working through your details and move forward in your planning. Within about one business day, you’ll hear from an event manager via phone or email. It’s that simple!